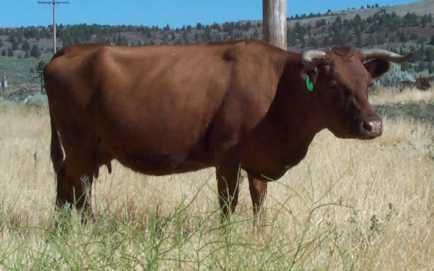 Chondrodysplasia is a lethal gene found in Dexter Cattle. 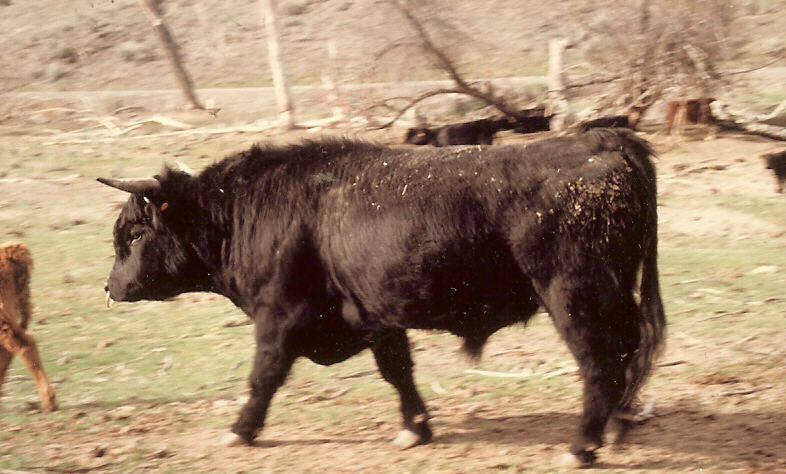 Other breeds of cattle have displayed Chondrodysplasia, but breeding choices were such that it is virtually unknown outside of the Dexter family today. The test procedure identifying Chondro was developed in Australia and test results give us the opportunity to make decisions and choices win the breeding of our Dexters. ADCA Members can voluntarily post the results of their Chondro testing on the ADCA On-Line Pedigree program, the posting lists "Carrier", "Non-Carrier" or leaves the space blank according to the Breeders direction. If a Breeder chooses to test and release the results they simply send an official copy of the Labs results to the Registrar for disclosure. Testing & disclosure is strictly a personal choice. Thomas' Dexters & family have submitted all Chondro test results to be posted on-line and printed on our ADCA Registration Certificates. 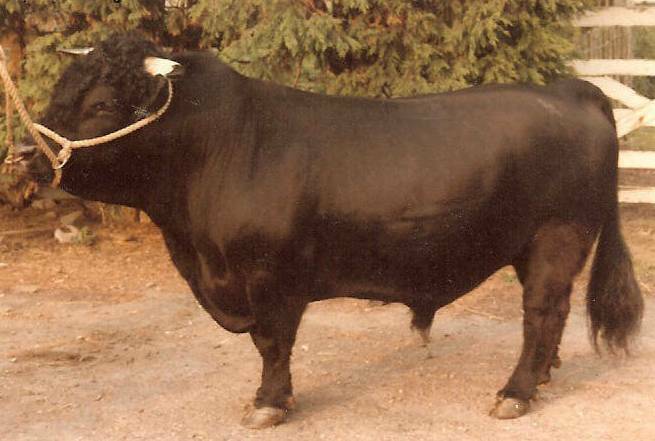 (Although we at Thomas’ Dexters have chosen not to breed for "Severely Affected" Dexters we believe every Breeder has the right to choose the breeding practice they want to develop and feel both Carrier and Non-Carrier Dexters have a place in the Breed. We strongly hope enough information is available for breeders to make an educated choice in breeding and that no-one learns of the possiblility of a "severely affected" Dexter by surprise. 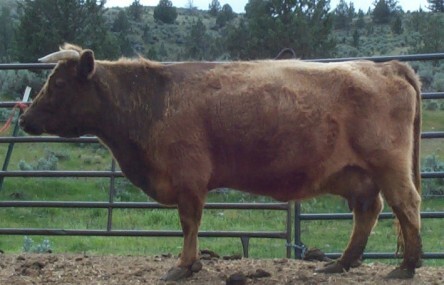 A Non-Carrier bred to a Non-Carrier will always produce 100% Non-Carrier offspring. 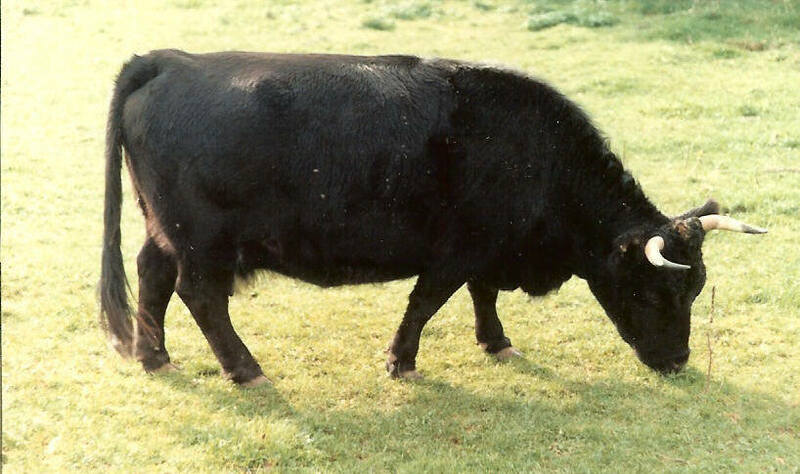 A Carrier bred to a Non-Carrier will produce 50% Carrier & 50% Non-Carrier offspring. 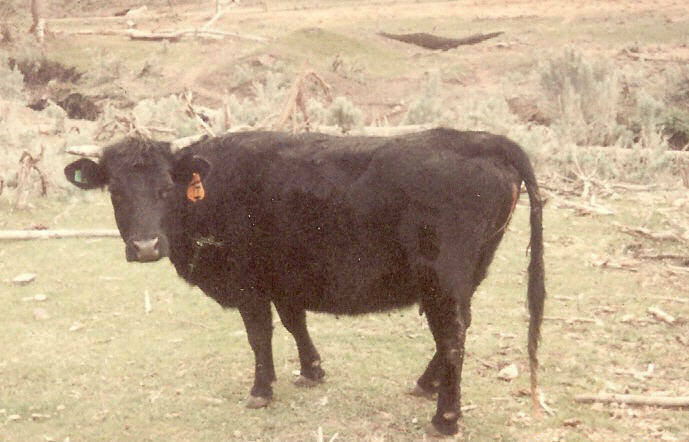 Note the short legs, "bulldog" face and ruptured "balloon belly". 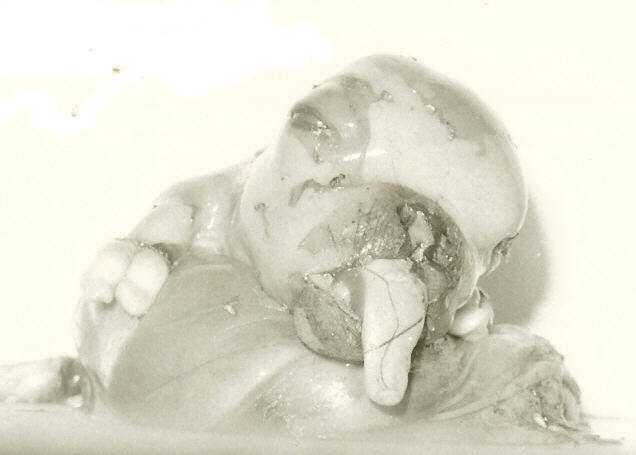 This abdomen was a large fluid filled bubble that caused a hard delivery of the 15# fetus, this "severely affected" Chondro fetus was carried for the full gestational term. 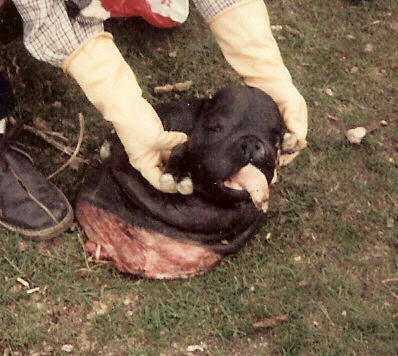 I would consider the following bulldog an "abortion"...ie: aborted, not carried to full term... It has the same face/tongue, short limbs, but no hair development is present. 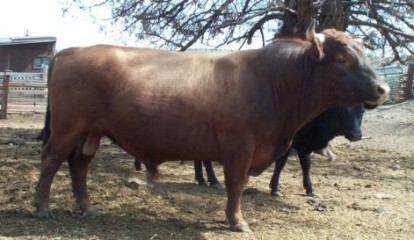 The "bulldog" may be aborted anytime during gestation or carried to full term. They never live. 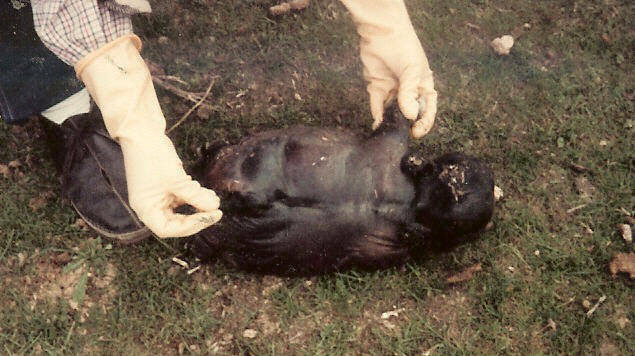 Some are terminated at conception, many of these occurances are blamed on the cow just not breeding back on time.